Dairy production. 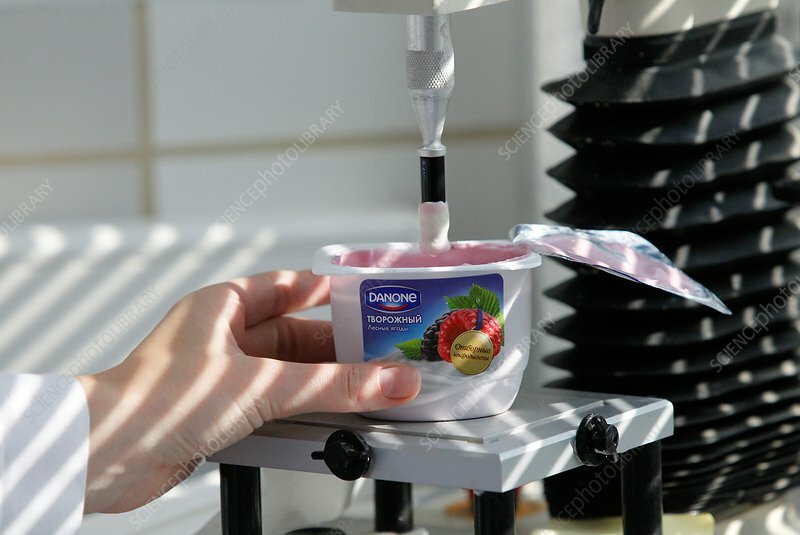 A sample of yoghurt being tested for its viscosity in a quality control laboratory. Viscosity is one of the indicators of 'creaminess' used by consumers to assess the quality of yoghurt. Photographed at the Danone Unimilk factory at Moscow, Russia.